This morning was vibrant at La Puerta Abierta…vibrant with rich green volcanos, royal blue lakes, emerald skies and vibrant with the bright smiles of engaged children. 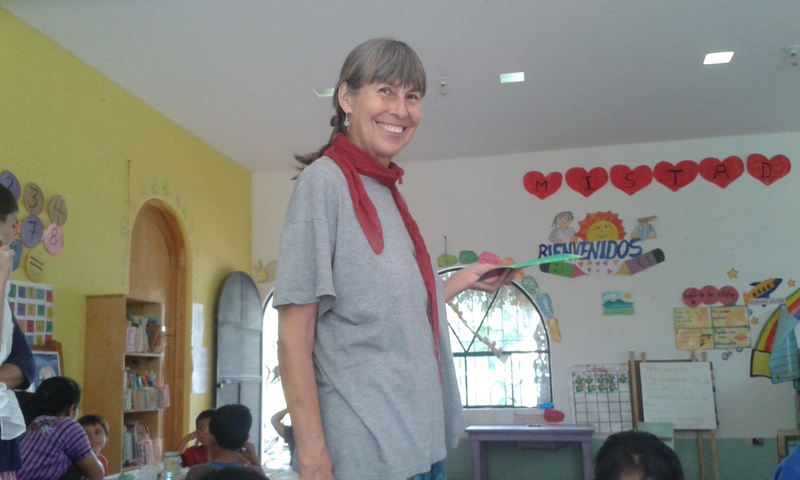 For over five years, German born artist Angelika Bauer who has called Santiago home for over 25 years has been collaborating with La Puerta Abierta teaching art to our students. 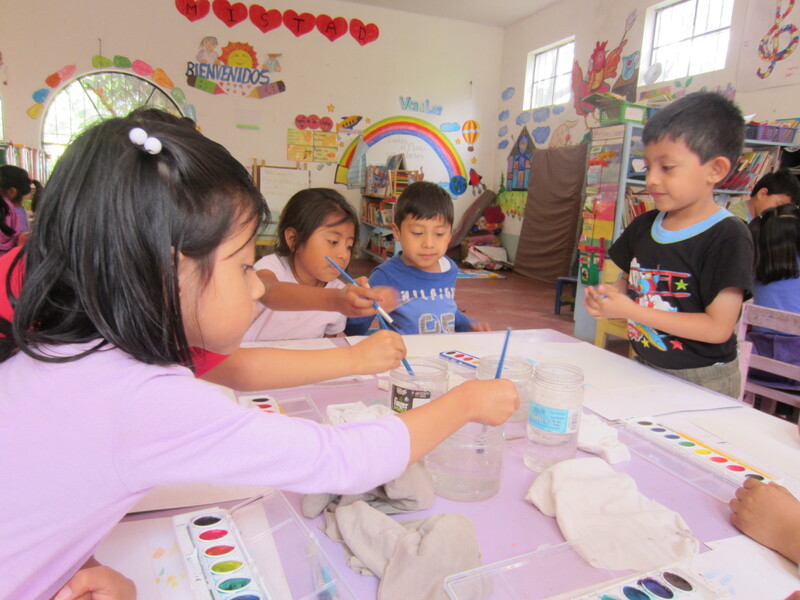 Today, 5 year old Fernando declared, “Angelika, can we PLEASE have more art classes?” after making a watercolor landscape of Lake Atitlan. 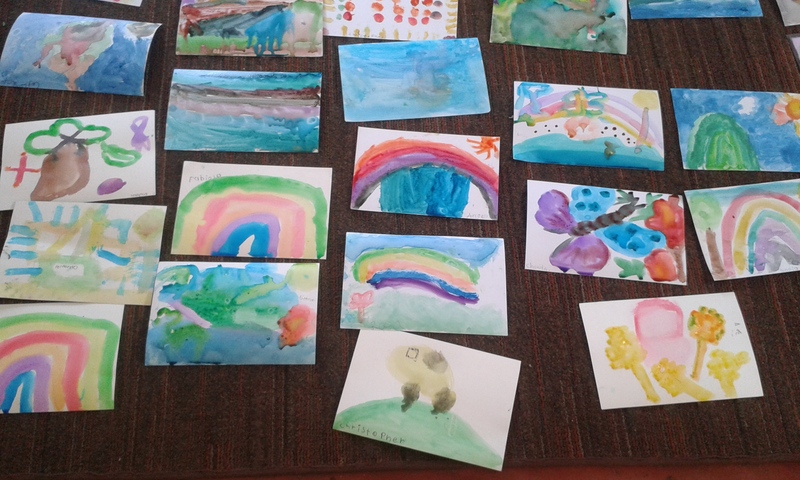 In addition to learning a variety of techniques such as collage, drawing with oil pastels and painting, students have the opportunity to think creatively and critically while exploring art. Angelika visits our kindergarten and 1st grade class once a month, an artistic gift to our center and our students.